Manufacturers of dished heads for tanks and pressure vessels require machines able to assure high performance and high productivity. 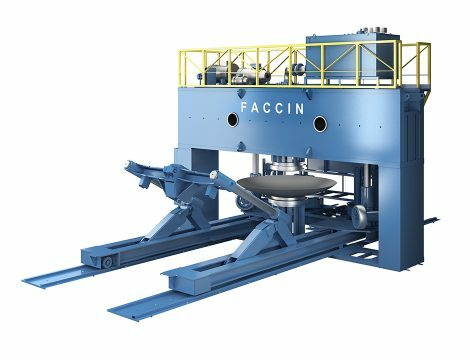 Faccin offers dished heads production lines that include technologically advanced presses, flanging machines and manipulators, designed to offer maximum reliability and to meet the needs of manufacturers of dished heads in terms of achieving tolerances and lamination reduction. 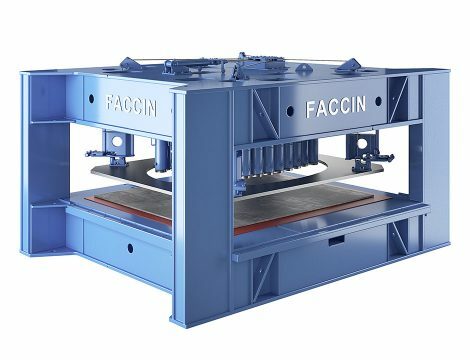 Faccin offers a range of PPM hydraulic presses with an exclusive design with rods. These double column presses feature the exclusive HPT system that minimises deformation of the frame and thus assures forming accuracy and high reliability. 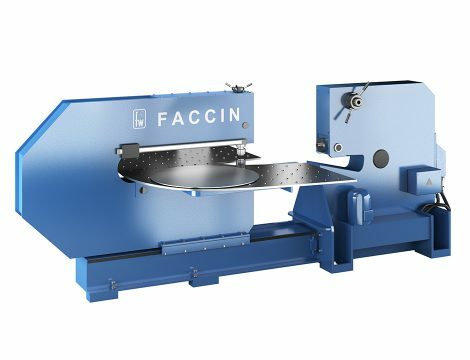 To accurately position the plates under the dished head press dies in the PPM series, Faccin offers the automatic manipulators in the MA range. These handling systems allow you to process several plates at the same time, reducing production time and assuring high quality. The hydroforming machines of Faccin’s PPH series offer high productivity and maximum reliability in forming plates up to 8 mm (5/16”) thick. These machines for dished heads are widely used in the production of truck tanks as they allow for hydroforming dished heads in various shapes including oval and polycentric. Thanks to numerical control included in the supply, Faccin’s PPH water presses assure complete automation of the production process; the optional loading/unloading systems, however, allow production time to be reduced without sacrificing the high quality of the finished product. 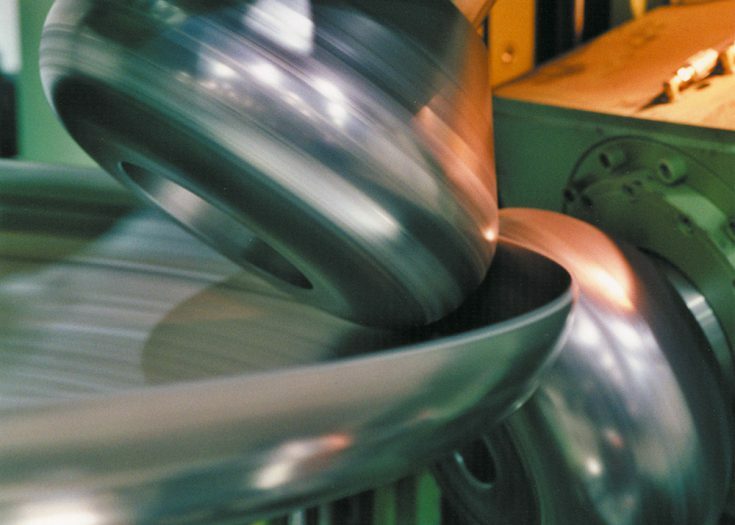 Fast, efficient, cost-effective: the flanging shears of the CB series designed and manufactured by Faccin are reliable, technologically advanced and precise solutions for cutting metal plate discs. Available with various capacities (thickness up to 10 mm (3/8”), , diameter up to 5 m (16”), ), the CB flanging shears are available with manual piece loading and unloading or as automatic line. The beading tools supplied with each model assure cutting and beading of thin Stainless steel dished heads for the food industry. The flanging machines of Faccin’s BF series are dished head machines capable of guaranteeing high productivity, assuring maximum quality of the final product with cost optimization. BF flanging machines are built with C-shaped electro-welded structures and equipped with forming and flanging rolls in forged alloy steel: this guarantees the maximum machine reliability and long service life. 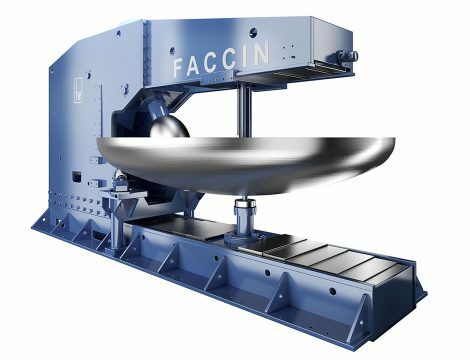 Faccin’s BF range of flanging machines are available for dished heads with or without central hole and for thickness up to 45 mm (1¾”).